Home » 2011 Loreto Calendar: Calling all photographers and Loreto lovers! 2011 Loreto Calendar: Calling all photographers and Loreto lovers! The whirlwind of activity from the sale of this year’s 2010 Loreto calendar resulted in our little community raising $4,190 for the Internado School in Loreto, BCS. This was the result of all of you who submitted gorgeous photos of Loreto, purchased calendars…and Adobe, who came through once again with a corporate match. We begin the process once more for the 2011 Loreto Calendar. The first phase is collecting photo submissions from the Loreto community at large and selecting of a local charity. We are still in the selection phase for the benefiting charity of this year’s efforts. In 2009 we raised $1,376 for Animalandia. 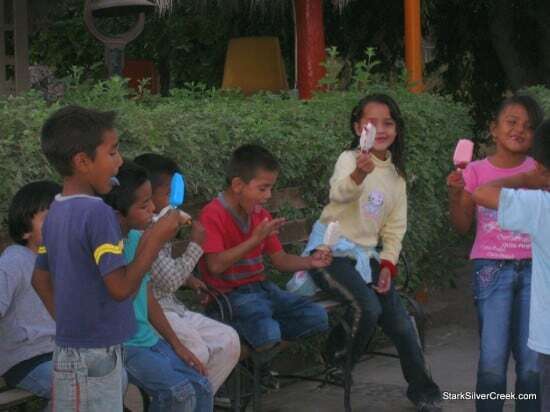 In 2010 we raised $4,190 for the Internado School in Loreto. This year’s charity is still to be announced. However, we hope to turn out an even more spectacular calendar and raise even more for a good cause in Loreto, Baja California Sur. For now, I do want to kick off the process by calling all photographers, aspiring and professional, and lovers of Loreto to send in your finest photos for the 2011 Loreto Calendar photo contest. Please email photos to loni@starksilvercreek.com. Current deadline for photos is mid-August. A definite date will be announced as we get closer to August. We are operating this in Mexico time!